This is no ordinary rock. If you were one of the (understandably) eager folk who flocked to Sculpture by the Sea earlier this month on its opening weekend, you’ve missed one of the show’s most important pieces. 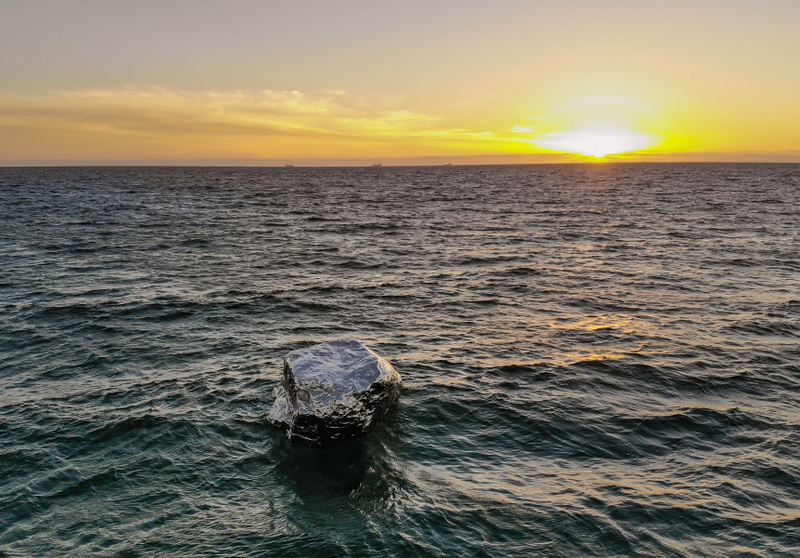 Floating Rock, a piece from leading contemporary Chinese artist Zhan Wang, arrived fashionably late to this year’s event after shipping issues delayed it in Malaysia. The piece finished being installed late last week. Having shown work in international museums such as New York’s Metropolitan Museum of Art and Rome’s Museum of Contemporary Art, Wang’s involvement at the 14th annual Sculpture by the Sea marks his first exhibition in Western Australia. Floating Rock is an original sculpture created specifically for the event and a new addition to his Artificial Rock* series: a collection of mirrored, floating sculptures he began creating in 1995. Floating Rock is one of more than 70 Australian and international works on show this year. Among the 28 artists from Western Australia is Fremantle’s Sally Stoneman, winner of the $10,000 West Australian Sculptor Scholarship for her sculpture Seed and Geoff Overheu from Gingin, winner of the Rio Tinto Sculpture Inside Award of $5,000 for Swarm (2017). New South Wales artist Harrie Fasher won the highly acclaimed Rio Tinto Sculpture award for $50,000 for her steel horse sculpture Transition (2016). 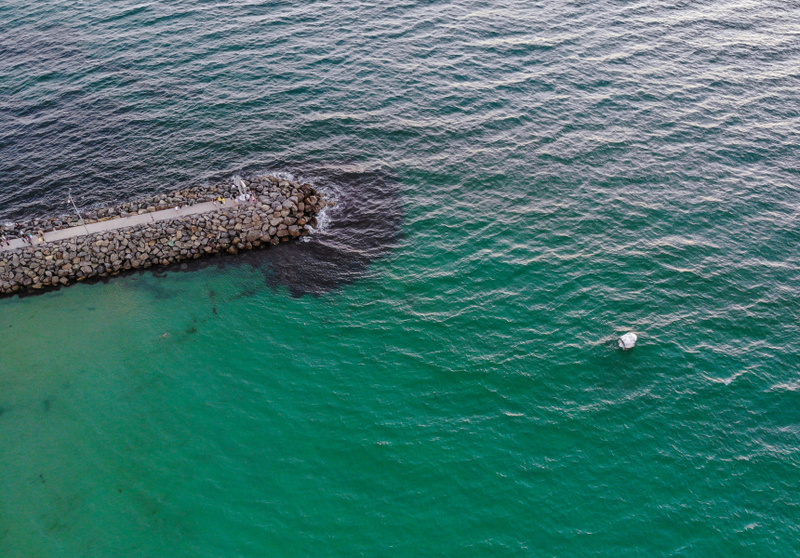 From a red giant plane to a wall of curved mirrors, the sculptures reach as far as North Cottesloe and are responsible for attracting an estimated 220,000 visitors to the coast. Sunset, unsurprisingly, is one of the most popular times to visit. 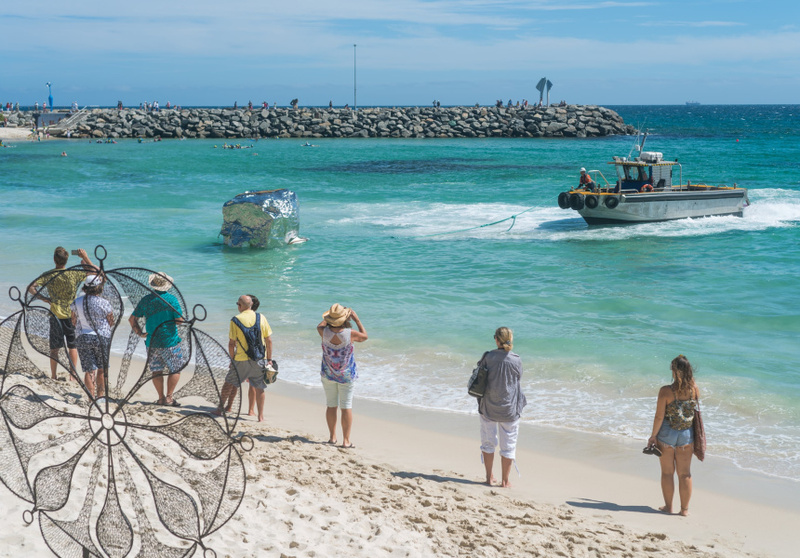 Sculpture by the Sea is on at Cottesloe Beach until March 19. Entry is free.